Apple wowed us with their event back in September and kept the suspense alive as they remained tight lipped about the iMacs that were not released at the time. Well, the wait is over and they are here! Apple launched its new Retina 4K display for the 21.5-inch iMac and a 5K display for the 27-inch iMac in California, today. The much anticipated display makes photos and videos even more crystal clear than they were in the pervious iMacs. The exterior of the iMacs sport Thunderbolt 2 ports and more storage options that makes the desktop look promising. In addition to this, Apple also announced a number of wireless accessories like the Magic keyboard 2, Magic Mouse 2 and (obviously) Magic Trackpad 2. These devices, we guess, are magical due to the fact that they have rechargeable batteries and require no aid of disposable batteries, whatsoever. We saw the introduction of Force Touch technology to the iPhone 6s and Apple has taken that a step forward by introducing the technology to the Magic Trackpad of the desktop. Specs wise, it has a 4096 x 2304 resolution and 9.4 million pixels, which is reportedly 4.5 times more than the standard 21.5-inch iMac display. 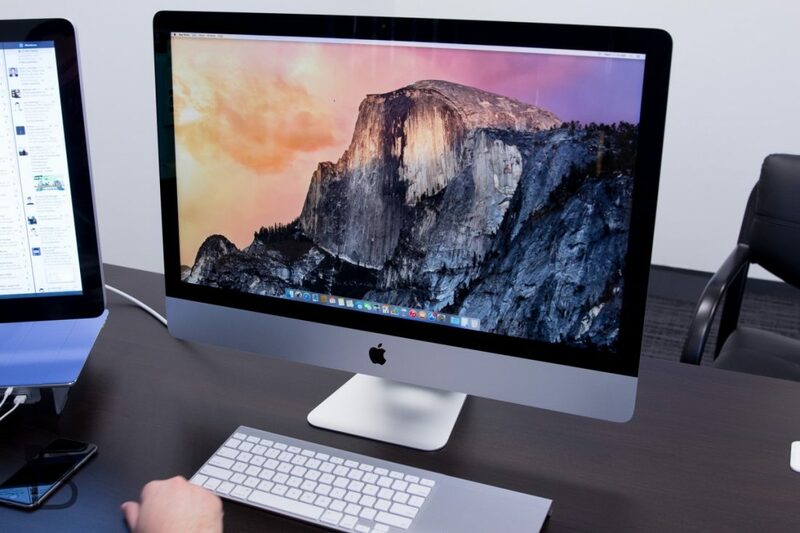 The 27-inch iMac features a Retina 5K display with a resolution of 14.7 million pixels. 5K and 4K displays feature a wider P3-based colour gamut that provides a 25 percent larger colour space. 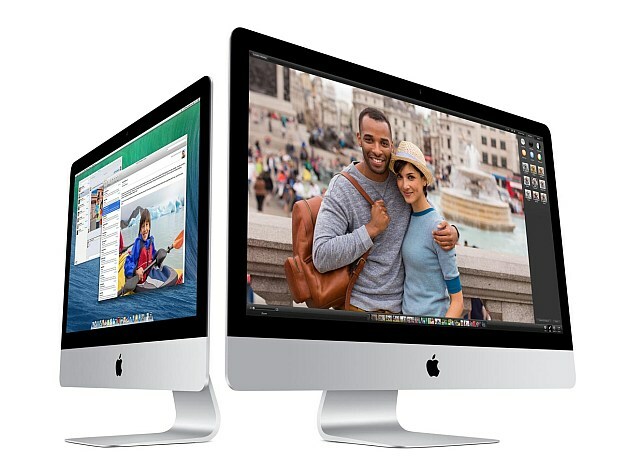 The 27-inch iMac with Retina 5K display now comes with sixth-generation Intel Core processors. The new 21.5-inch iMac with Retina 4K display, on the other hand, features a fifth-generation Intel Core processor and is enhanced by Intel Iris Pro Graphics. The Thunderbolt 2 ports come with 20Gbps data transfer speeds for external drives and high-performance peripherals. The RAM has also been improved across the board from 8GB of 1600MHz LPDDR3 to 8GB of 1867GHz LPDDR3, upgradeable to 16GB. Finally talking about the price, the 27-inch iMac with Retina 5K display is available at select Apple Authorised Resellers. The 27-inch iMac comes in three models priced at INR 148,900, INR 164,900 and INR 188,900. Additional technical specifications are available online at www.apple.com/in/imac/. 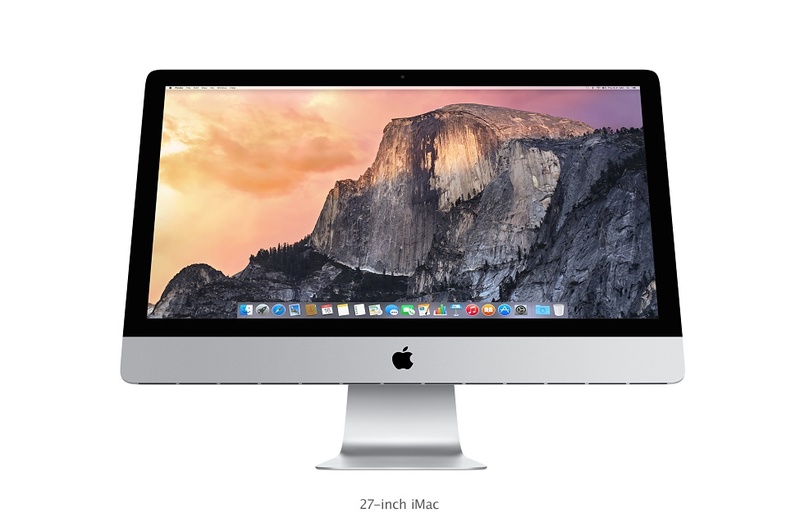 The 21.5-inch iMac is available at select Apple Authorised Resellers. The desktop is also available in three models priced at INR 91,900 and INR 107,900 and with a Retina 4K display starting at INR 123,900. Additional technical specifications are available online at www.apple.com/in/imac/. Lastly, the Keyboard is available at INR 8,300, while the Mouse 2 will be be priced at INR 6,600 and the Trackpad 2 for INR 11,200. Admittedly, these prices are sky rocketing and seem really unaffordable but Apple promises a better experience, as is the case with all its products. So it’s up to you to empty your pockets, or not. Ya se dieron cuenta que parece la figura?? ?